Mid September we can see the long predicted collapse of Arctic ice is postponed for yet another year. The graph shows MASIE reporting ice extents above 4.5M km2 for the month of September. A dip on day 252 to 4.43M km2 will likely be the daily minimum for the year, since 200k km2 of ice has been added in the last week. The graph also shows that 2018 is presently 96k km2 above the 11 year average ice extent, 350k km2 more than 2016, 472k km2 more than 2007, and 1.2M km2 (a full Wadham!) more than the record setting 2012. Interestingly, in September until yesterday NOAA’s officially referenced Sea Ice Index (SII) was showing more ice than MASIE, by about 200k km2. That means the SII September monthly result will continue the plateau in Arctic ice since 2007. The table below shows ice extents in the various basins comprising the Arctic Ocean for day 259 for 2018 and 2007 in comparison to the 11 year averages (2007 to 2017 inclusive). Presently, 2018 is about 100k km2 or 2% above average, and 472k km2 or 11% more than 2007. The Eastern Arctic shows surpluses in East Siberian, Chukchi, Beaufort, and CAA. The Western Arctic shows deficits in Laptev, Kara, Barents and Greenland seas. 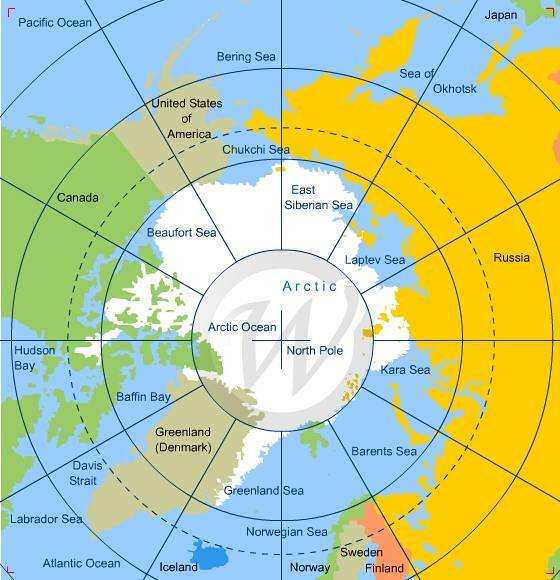 The Central Arctic is matching average, while East Siberian sea ice is 73% above average. As reported previously, the Northwest Passage through Nunavut was closed this year due to excessive and thick multiyear ice blocking the way. The chart below shows the conditions as of Sept. 14. Here is the latest ice chart showing that in Franklin strait, all the green conditions (<3/10) are now gone, while red and brown are taking over. It will be very interesting what the new NASA satalite records. It will make interesting comparisons.